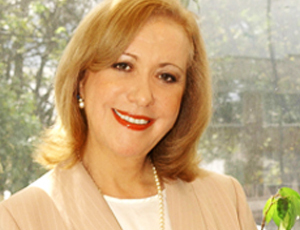 Dr. Juana M. Sancho-Gil is Full Professor of Educational Technologies at the University of Barcelona. Dr. Sancho-Gil has a longstanding and steady experience in promoting research policy at institutional level, advising research programs and projects, and assessing and managing research projects. At the moment she is coordinating the European project DIYLab-Do It Yourself in Education: Expanding Digital Competence to Foster Student Agency and Collaborative Learning. Dr. Sancho-Gil won the national educational research award, first in 1987 and again in 2003. In the context of Spain, where a ruling party has approved and is implementing a regressive educational law, I take part in what is called the Foro de Sevilla. In 2012, the Spanish Minister of Education promoted a new educational law (Ley orgánica de mejora de la calidad educative–LOMCE). Because it was a majority government, the proposal was developed in an authoritarian manner and was highly confronted by diverse political parties, and civic and public entities. A group of university professors, teachers, union members, and representatives of parent associations, concerned about the clear educational and democratic recoil of the proposed law, met in Seville and wrote a manifesto. Since then, we have been discussing the different challenges to be met by education, involving more and more groups in the discussion and engaging in the development of proposals. Vicky Colbert is the co-founder of Escuela Nueva in Colombia, a school with a pedagogical model known worldwide for its effectiveness in improving the quality and relevance of basic education. In this featured interview, originally published in the AERA Educational Change Special Interest Group newsletter, Colbert describes the origins, widespread adoption, and recent developments of the model.